Scroll through to see my list of kitchen tools – some of my most favorite items that I use all the time! I am asked a lot about what I use in my kitchen, so I’ve put together a list of my favorite kitchen tools. Like many of you, I’m juggling a hundred things every day and I don’t have time for nonsense, so I’m sharing with you products I have tried and love. If you don’t see something, it doesn’t necessarily mean I don’t use it, but that I don’t have a specific product that I love enough to recommend it. These are items that I think are awesome, but you’ll need to judge for yourself if would be valuable for you and your family. I’m also sharing with you some tips on how to make the most of my recipes, too. 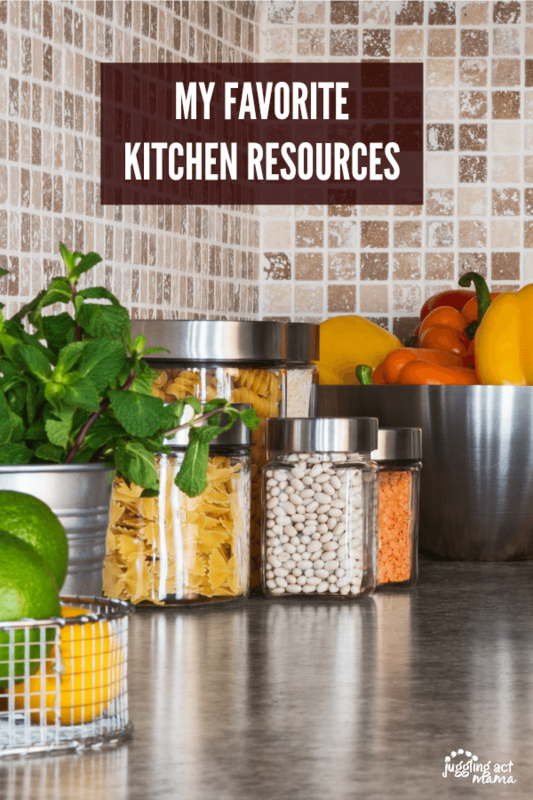 I hope you enjoy these kitchen resources! I am always testing my recipes a couple times, in the hopes that you’ll get the same great result that I do. But, I’m only human so if you think a recipe is missing an ingredient, please let me know. Always read through the recipe fully and make sure you have the ingredients and tools on hand that you’ll need. I’m working hard to update all my recipes to give you a shopping list as well as a list of items you may need in all my recipes to help make it easier. For the best results, especially when baking, always following the steps in the order they are presented. Trust me, I like to save time too, and I’ve done my best to make these succinct. Mixing up the steps may cause your final dish to not be so great after all. Changing amounts or swapping out ingredients may not turn out the best recipe. Before you make it your own, please try my recipes just as they are. If you have a question about one of my recipes, you can always reach out to me on my Facebook page or by emailing me at jugglingactmama[at]gmail[dot]com and I’ll be happy to help if I can. This post contains affiliate links; we are a participant in the Amazon Services LLC Associates Program, an affiliate advertising program designed to provide a means for us to earn fees by linking to Amazon.com and affiliated sites. I only promote things that I love and think you will love, too! For more information, please see our Disclosure Policy. Food Processor – I have a Hamilton Beach food processor is inexpensive but works great, and it doesn’t take up too much space on the counter. Make up my Tarragon and Walnut Pesto Flatbread with this baby and you’ll see why it’s on my list. Hand Blender (Immersion Blender) – Works awesome for pureeing soups to a smooth consistency! It’s also great for making dips, pancake mix, beating eggs, and lots more. Stand Mixer – Having a stand mixer is one of those things that you’re not sure you really need until you have one…. then you wonder how you functioned without it! There are some pretty amazing attachments, too. Programmable Slow Cooker – I love that ability to program my slow cooker so that each meal is cooked perfectly. 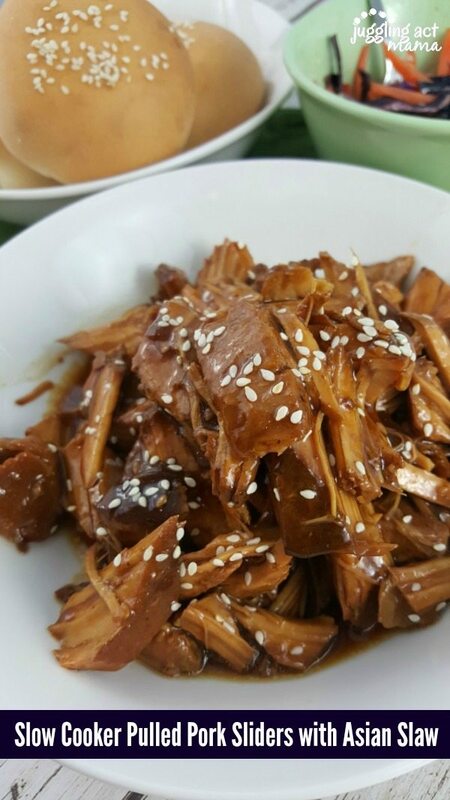 When I make my Honey Garlic Slow Cooker Chicken Recipe, I love that this slow cooker will switch over to the WARM setting automatically when the cooking time is done. Instant Pot – I’m just getting started with the Instant Pot but so far I’m loving it! It can be used as both a pressure cooker and slow cooker, so it’s great for saving space on your counter. Blender – Perfect for making smoothies and delicious frozen cocktails, too! Ice Cream Maker – Do you need this? Maybe not, but if you want to make my Strawberry Ice Cream, you’ll need it. Then again, you don’t need it for my No Churn Brownie Bite Ice Cream… you decide! If you have a KitchenAid Mixer, you might want to get the ice cream maker attachment instead. Coffee Machine – I’m not a big coffee drinker, but in our house we love hot cocoa! This is great for just brewing a quick cup of tea, also. KITCHEN HACK: Use your stand mixer, fitted with the paddle attachment, to shred slow cooker or boiled chicken and pork! Cookie Scoops – These are definitely not just for cookies. I use these because they work well and are dishwasher safe, which I love! Balloon Wire Whisk Set – This set includes three different sizes so you can use the one that is perfect for just about anything. I like the slim handle and find that AmazonBasics whisks are just too bulky for my taste. Microplane – Many, many of my recipes call for citrus zest because of the grate (see what I did there?) flavor that it adds to both sweet and savory recipes. Of course, I love that this baby is dishwasher safe. Manual Can Opener – OK, so this one isn’t exactly an utensil, it’s a tool….but I keep it in the drawer with those items so there we are. I love being able to tuck this away and not have extra junk on my counter. Multi-Purpose Bench Scraper – This is such a handy item to have for everything from scooping up chopped vegetables to dividing bread dough. Fish Turner (Slotted Spatula) – I don’t serve fish too often, but I do use this slotted spatula all the time. It works great for scooping fish sticks off a baking sheet…. just sayin’. It’s also awesome for removing cooked bacon from a skillet and other items where you want the oil to drip off and not land in your serving plate or mixing bowl. Everything fits on it, so it’s just a great multi-use kitchen tool. Ladle – there’s nothing worse than trying to serve soup without a good ladle. If you’re making my Slow Cooker Potato Soup, this will definitely come in handy! Measuring Spoons and Cups – Technically also not a utensil, but totally necessary if you want any of these recipes to come out right! Wine Opener – Do I really need to explain why I need this?!? Really though, a good wine opener is important! KITCHEN HACK: Before you measure honey, lightly spray your measuring cup with cooking spray. The honey will slide right out! Casserole Pan – This baby is as awesome for braising meats as it is for making a small soup recipe! Cast Iron Skillet – I love a good cast iron skillet because it’s just so versatile. My one pan Cranberry Stuffing is a perfect example. Roasting Pan – It’s bulky, but if you host a lot of holiday dinners, this is a must have. Learn how to Brine and Roast a Turkey. Dutch Oven – This might be my most favorite item in the kitchen (other than the slow cooker and stand mixer)! My Dutch Oven is my go-to for mac and cheese and soups all the time. 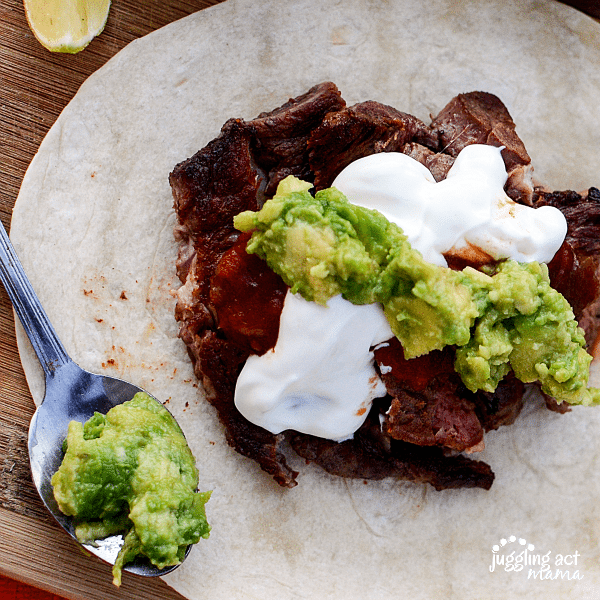 KITCHEN HACK: To get a great sear on your meat, pat it dry before adding it to the skillet, then leave it alone! You want to give it time to caramelize and get a delicious crust on it. Mixing Bowls Set – This is the next step up from the set I have, which is no longer available. I think this is an incredible value considering you’re getting every bowl size you could ever want! Baking Sheets – My mom has always used these commercial baking pans and I adore them! They’re big enough to make an awesome sheet pan dinner or a whole mess of cookies at once! 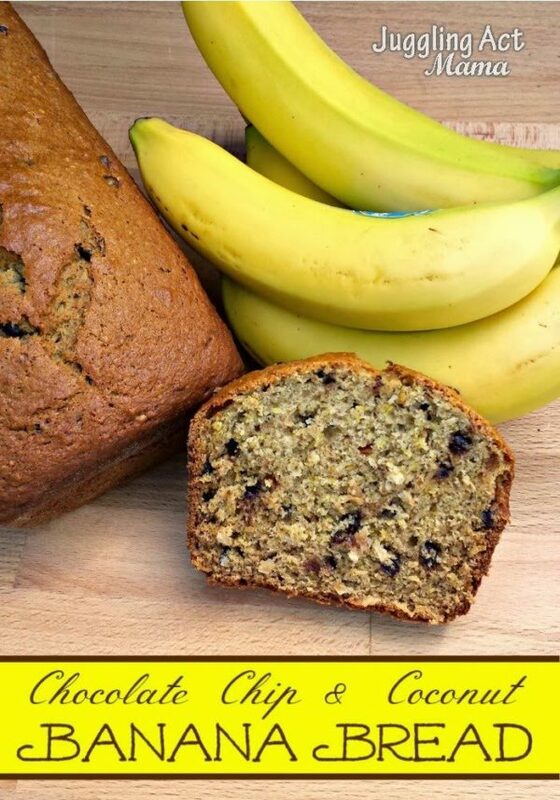 Long Loaf Pans – Traditional loaf pans are around 8 inches long, but you’ll want to note that in most of my quick bread recipes, like Banana Bread with Chocolate Chips and Coconut, it calls for a 9×5 pan That’s because this recipe has more batter than a standard banana bread recipe. Liquid Measuring Cup Set – Mr. Juggling Act often asks me why I need to have 3 of these. I just do. When you cook and bake as much as I do, this set is just a necessity! Jumbo Muffin Tins – Every week, we make a batch of Pumpkin Muffins for Ethan. Every. Single. Week. These tins have stood up to a lot of wear and tear. Standard Muffin Tins – These work great for cupcakes and muffins alike and the nonstick coating is easy to clean. Cake Pans – I like the little handles on these pans, they make it easier to take cakes out of the oven without accidentally denting them with an oven mitt! Square Baking Pans – These are perfect for small batches of brownies, granola bars or magic bars. Rectangle Baking Pan – I adore breakfast bakes like this Cheddar Bacon Monkey Bread, for which you definitely need a big ‘ole rectangular baking pan. This one has been kicking around for several years and still works awesome! Corningware Baking Dishes – I use these for everything from my famous Make Ahead Sweet Potatoes with Brown Sugar to apple crisp. I love that they can go from the oven to the table to the dishwasher. And talk about value! You get 6 dishes plus lids for a total steal. Serving Spatula – I guess this one is a utensil, but when I want to get my brownies and bars out of the pans easily, this is what I use. KITCHEN HACK: Parchment paper is your friend! Use it to line your baking pans and you’ll be able to remove your food easily, and clean up is a breeze! Extra Large Wooden Cutting Board – This is one of the most used items in my kitchen (other than the knife below!) Sometimes I even use it as a serving board, as I talk about in my Roasted Garlic Hummus article. Always make sure that the baking sheets you choose will fit in your oven! Santoku Knife – My mom gave me two of these for Christmas a few years ago. We received a fancy knife set from our wedding registry but I love these knifes because they are light but still get the job done. Plastic Cutting Board Set – These are just nice to have for when you need to cut up smaller items, or for handling raw meat. Paring Knives – These are my go-to knives for slicing apples or removing seeds from a jalapeno. They are also what I allow Olivia to use for slicing cucumbers for her lunchbox. 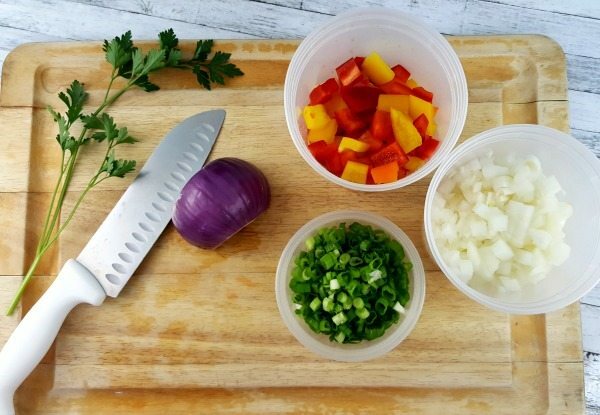 KITCHEN HACK: When you’re chopping fresh herbs, put a little salt onto the cutting board which will help them from moving all around the cutting board. Spiralizer – Let’s face it, this is just plain fun! We use ours to make noodles from zucchini and beets mostly. Panini Press – Paninis make boring sandwiches amazing. They just do! This Turkey Pesto Panini is one of my all-time favorite sandwiches. Griddle – Every week, we pull out the griddle and make french toast and pancakes. 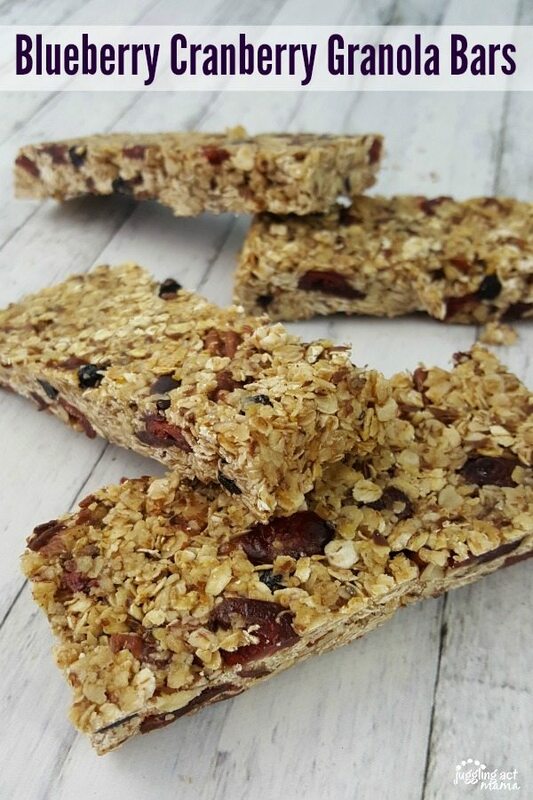 These go in the fridge for the kids to eat for breakfast (or even a snack!) throughout the week. Indoor Grill – When you live in New England and it’s still sleeting in April, sometimes you just need an indoor grill. We use ours to make amazing Chili Lime Tacos, among other things. KITCHEN HACK: Use your panini press to make awesome quesadillas or even mashed potato “waffles” in no time!